(March 12, Colombo, Sri Lanka Guardian) LTTE’s Sports Head Papa who was taken into captivity with LTTE’s former eastern province political wing leader and subsequently in charge of the economic division Karikalan, former spokesman of the LTTE Yogaratnam Yogi , former EROS MP turned advisor to the LTTE V. Balakumar , a former spokesman of the LTTE Lawrence Tilagar, former Deputy political section leader Thangan , former head of the political section for Jaffna district Ilamparithi, former Trincomalee political wing leader Elilan, former head of the administrative division of the LTTE Puvannan and deputy international head Gnanam is now confirmed to be recruited into the Sri Lanka’s state intelligence service. According to the government Minister of Rehabilitation and Prisons Reform Don Edwin Weerasinghe Gunasekera both Yogaratnam Yogi and V Balakumar were killed in the battle front whilst witness accounts and governments own website Lankafirst.com reporting that both of them were in military custody for further investigations. On May 31, 2009, Lankafirst.com website quoting Government Information Department sources, reported that some top Tiger leaders who were in the military hand, were going through series of serious investigation by the security forces. 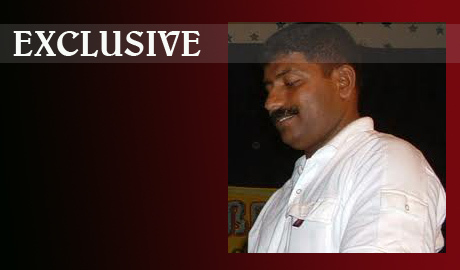 “Former eastern province political wing leader and subsequently in charge of the economic division Karikalan, former spokesman of the LTTE Yogaratnam Yogi , former EROS MP turned advisor to the LTTE V. Balakumar , a former spokesman of the LTTE Lawrence Tilagar, former Deputy political section leader Thangan , former head of the political section for Jaffna district Ilamparithi , former Trincomalee political wing leader Elilan, former head of the LTTE sports division Papa , former head of the administrative division of the LTTE Puvannan and deputy international head Gnanam are in custody,” it said. Papa has been recruited to spy for the government of those connected to the LTTE activities. He is said to be part of the intelligence investigative team operating at the Bandaranayake International Airport. The process work like this: The government Intelligence Service will put a block on the computer system on those connected to the LTTE and those espousing anti-government campaigns overseas. If such a person reaches the arrival or departure desk at the airport, the computer will alert and the Immigration Officer will call the Intelligence Unit to arrest the person/s. The person will be taken away for questioning. If the person is a Sri Lanka passport holder nothing will be known about his fate, as law of the land and extra judicial methods will strenuously applied on him. There are witness accounts of suspects being dragged by their feet and hands when they fell on the feet of the officers with their pleas. Sri Lankan’s holding foreign passports are treated very differently. They are put through repeated cross examinations by many officials and it will go on for over twenty four hours. During this period, the victim is not provided food or drinks. The officers are Sinhalese and at the tail end of the investigation, LTTE’s Papa or his men will appear and will probe in Tamil. Papa will be armed with documentary and intelligence information and will put the arrested person through arduous process. He will use intimidating and threatening tactics to create fear to extract information. Much of the particular instances involving Papa are not published herein to provide safety to the victims who had been put through torturous experience at the airport. Question arises on accountability issues on the conduct of the Immigration Officials. According to sources, some of those arrested have not been put through the legal process and their whereabouts are not known.